Go For The Modern And Minimalist Look With Your Presentations Using Venngage's Soft Creative Presentation Template! Presentations don’t always have to be flashy or complex. With this Soft Creative Presentation template from Venngage, you can design a presentation that’s simple and aesthetically pleasing. The Soft Creative Presentation features a basic white color scheme and slides with images and small blocks of text. 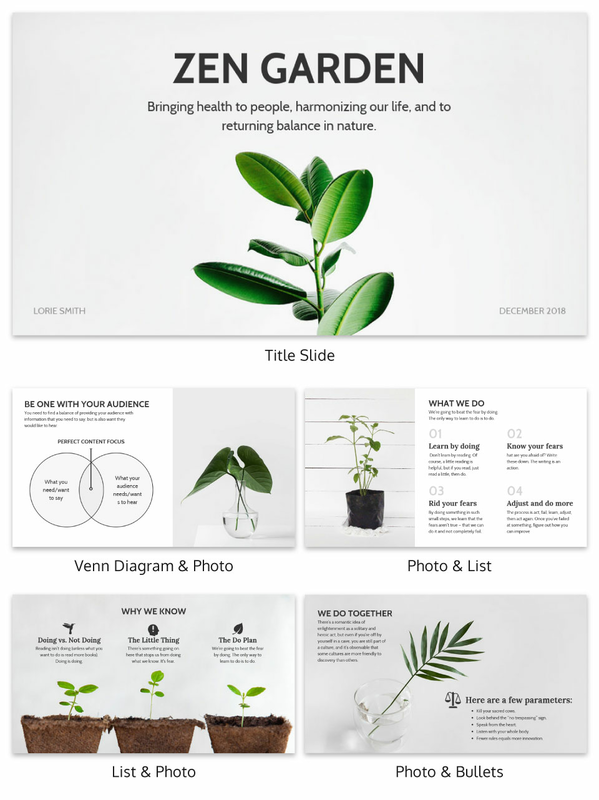 You can edit the Soft Creative Presentation template to be as simple or as detailed as you want. Customize the template with text and choose from a wide selection of font styles. The Soft Creative Presentation template can also be edited to include diagrams, graphs, charts, tables, icons, and images. You also have the freedom to upload your own photos or choose from our library of high-quality pictures.